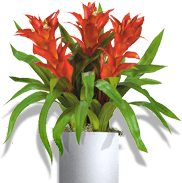 For commercial and residential interior plant services, Interior Tropical Gardens is your reliable source. 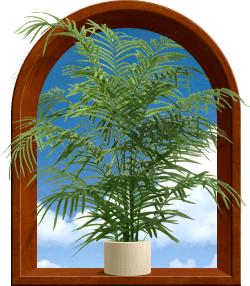 We always have an on-hand supply of indoor-acclimated plants, flowers and exotic species in our own local greenhouses, so we can "tropicalize" your interior in no time flat. And, because we are local — in Chicago's near northwest suburbs — we can quickly replace any less-than-perfect plants with fresh and beautiful ones, usually before you even notice! Home or business — we'll work with just about any budget, and probably for less in the long run than trying to do it yourself. 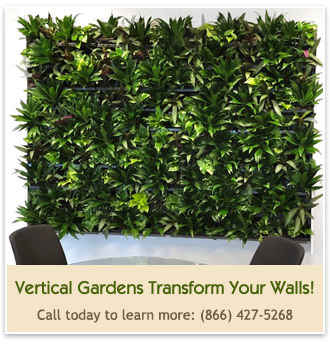 We can bring the natural beauty of indoor plants to any office, lobby, shop entrance, or grand atrium, with an eye toward enhancing your decor as well as selecting the correct plants for your indoor environment. Contact us today for a free personal consultation. We'll show you that, short of a trip to the Tropics, we're the next best thing to being there! At Interior Tropical Gardens, if there's one thing we nurture even more than our plants, it's our customers. Many have been with us since the beginning, and we'll do anything short of jumping into Lake Michigan in winter for them!